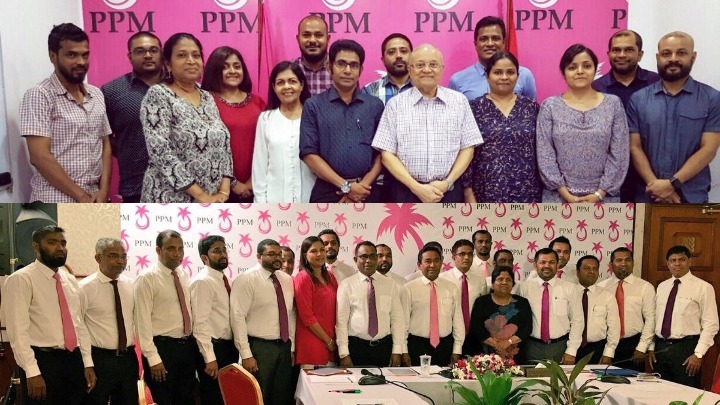 The high court has begun hearing a case that will decide whether the civil court was right to transfer control of the ruling party from former President Maumoon Abdul Gayoom to his half-brother and incumbent president, Abdulla Yameen. 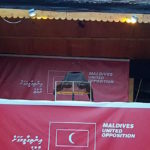 The dispute has split the Progressive Party of the Maldives and thrown its preparations for the upcoming local council elections into disarray. The appeal has been complicated by the fact that a man who was not party to the dispute filed it. Abbas Wafir is said to be an associate of one of the two lawmakers who had launched the lawsuit against Gayoom. Wafir’s challenge left Gayoom’s lawyers scrambling to file a third-party intervention in order to have their viewpoints heard. The hearings began Thursday with the involvement of four different parties. The opposition Maldivian Democratic Party and the Adhaalath Party had also asked to be heard, contending that the civil court ruling posed a risk to all political parties, but were denied access. 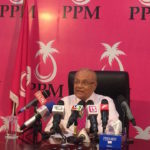 The controversial verdict from the civil court had declared Gayoom unfit for PPM leadership, citing his refusal to obey civil court orders to reconvene the party’s governing council, which had been suspended amid infighting, and ordered Yameen to resume council meetings under his leadership. 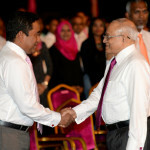 Subsequently, both Gayoom and Yameen set up rival party administrations and announced separate arrangements for the local council elections. In his appeal, Wafir had raised a single point; that the civil court had failed to clarify which article of the constitutional or Political Party Act that Gayoom had flouted. 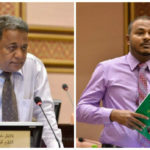 At the first of the two hearings on Thursday, lawyers representing the two MPs who filed the civil court petition – Ahmed Shiyam and Mohamed Shahid – clarified that they did not speak of the constitution or the Political Parties Act in their petition, but had accused Gayoom of flouting the PPM’s charter. Gayoom’s lawyer, Ahmed Muizz, meanwhile questioned Wafir’s motive in filing the appeal and expressed concern over what he described as fast tracking of the appeal by the high court. The civil court ruling must be overturned, Muizz went on to argue, noting that the two MPs had only asked for the suspension of the council to be lifted, and had not asked for Gayoom’s powers to be stripped or for Yameen to be installed as leader of the party. In response, the counsel for Shiyam and Shahid said the pair had in fact made the request, during a final hearing into the case at the civil court. At the second hearing in the afternoon, Muizz requested a stay order on the enforcement of the civil court ruling, and asked the appellate court to overturn all the decisions taken by the Yameen faction until the dispute was settled. He went on to argue that the civil court cannot hand over the party’s leadership to an advisor, which was a ceremonial role given to Yameen after he was elected president. The fourth party in the case was the counsel for the PPM. Both the Gayoom and the Yameen faction sent in lawyers, but the high court only admitted the latter. Hussain Siraj, the lead counsel for Yameen, contended the civil court was forced to strip Gayoom of his powers because he had brought the party to a halt by refusing to hold council meetings. It was necessary to hand over control to Yameen, Siraj contended, because Gayoom had also sacked the party’s vice president. Counsel for the two MPs meanwhile argued against a stay order, contending that such an order would bring the party to a halt once again. A third hearing in the case is scheduled for Saturday. The three-judge panel is led by Judge Abdulla Didi, the chief judge of the high court.